The Food Alphabet and More: Casa Italia’s HEARTy Treat This Valentine’s Day! Casa Italia’s HEARTy Treat This Valentine’s Day! If you haven’t eaten your way across Italy yet, and you’re on a quest for a romantic place to awaken your senses this Valentine’s Day, find your way to Casa Italia and take pleasure in their premium Italian pizzas, now served with a twist! 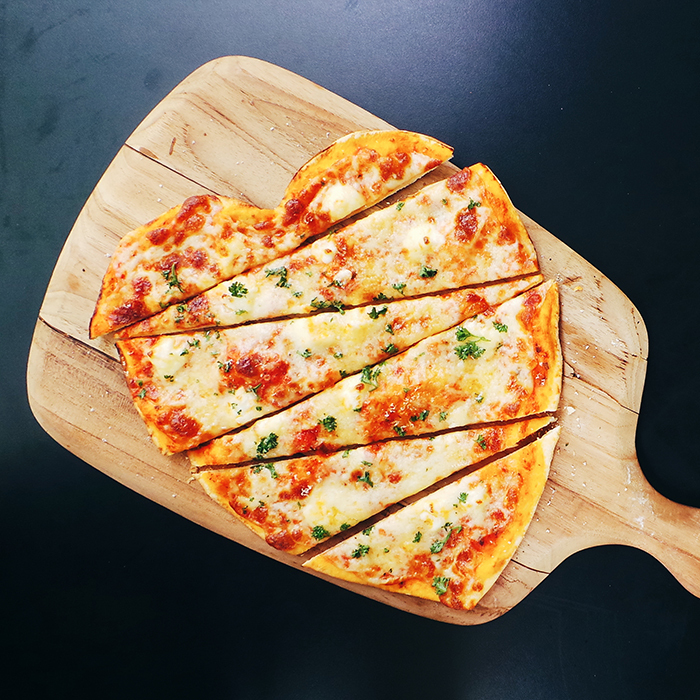 Make way for Casa Italia’s “V-Day” special- as it serves up authentic heart-shaped pizzas! Using only the finest and freshest ingredients, the house’s variety of uniquely styled treats perfectly complements the season of love. Your taste of Italian cuisine starts off with the heart-cut Quattro Formaggi Pizza – blended layers of four of the world’s most famous cheeses: Cheddar, Formaggio Bianco, Emmental, and Mozzarella. Sure to fancy the palate with every bite is Casa Italia’s version of Mexicano Pizza. Made with ground beef, lettuce and chips arranged delicately atop a bloody red sauce, this heart-molded creation makes for a crunchy surprise. Love is in the air for those who want a mix of sweet and salty with the Parma Peach Premium Pizza- flattened heart dough oozing with mushroom garlic cream sauce and graced by a combo of prosciutto parma ham and sliced sweet peaches. A panoply of sumptuous Italian pizza selection at Casa Italia wouldn’t be complete without the heart-shaped Uovo and Mushroom Pizza – equally-salty eggs and fresh Shiitake and White Button mushrooms layered on top of white cream sauce, championing one’s ultimate Valentine’s Day food list. 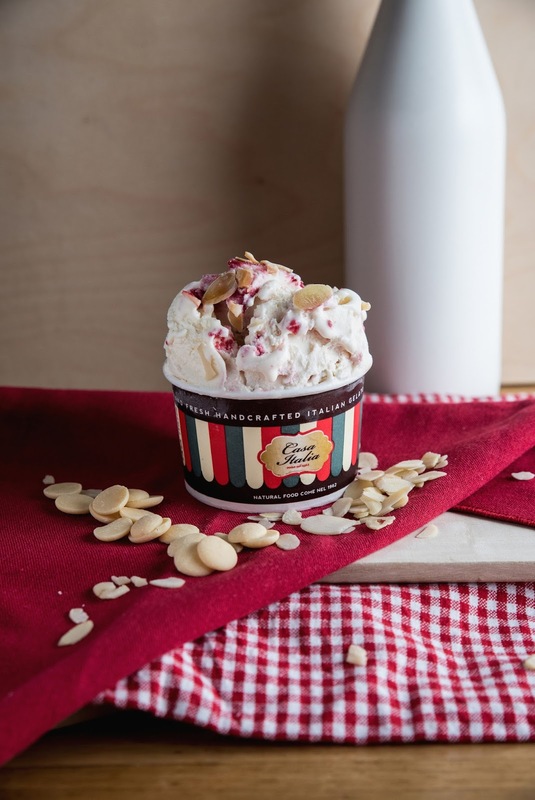 And when your plates are all cleared, take your authentic Italian experience further with Casa Italia’s signature comfort food this month– the Valentine gelato concoctions. 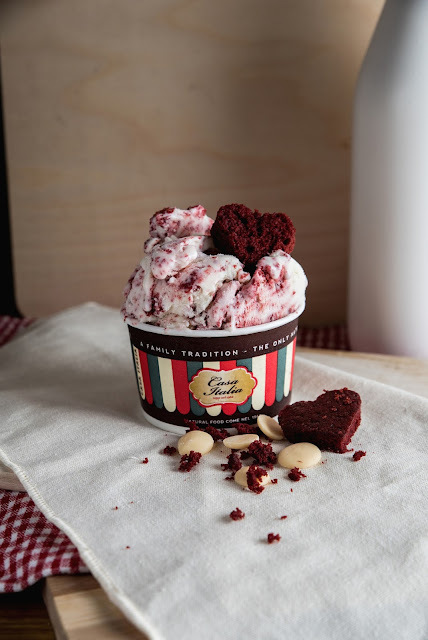 A “love at first bite” promise can be had in every scoop of Red Velvet gelato – a sweet mix of already luscious Cream Cheese gelato and tidbits of all-time favorite Red Velvet cake. Another flavor sure to grip your hearts is the White Chocolate Raspberry gelato- a medley of smooth White Chocolate gelato with raspberry coulis topped with almond shavings. Have a taste of Italy and romance this Heart’s Day and find your way to this must-see hotspot located at Forbes Town Road, Burgos Park at Bonifacio Global City and at The Block in SM North EDSA, Quezon City.